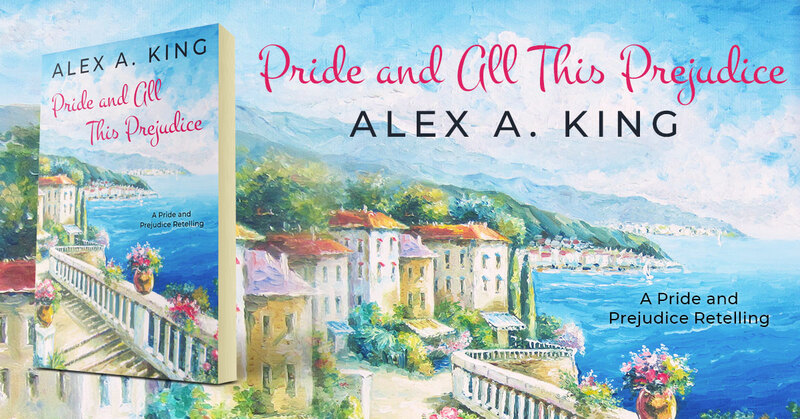 Pride and All This Prejudice is a Pride and Prejudice retelling by Alex A. King. After three years studying overseas, Elisa Baros is coming home to the most predictable place on Earth, where change is a foreign word and her future is carved in marble. But when a wealthy stranger inherits a house in the tiny village of Meriton, Greece, dragging the surliest man on the planet along with him, all the predictability she used to rely on is shot to pieces. Markos Dellis is judgmental, rude, a Byronic store mannequin of a man who hates the family she adores. The only thing he and Elisa have in common is a mutual loathing; it’s a perfect two-way street. Or so Elisa believes, until Markos flings his true feelings in her face, leaving her to question how well she knows the arrogant man … and how well she knows herself. This entry was posted in Showcase Spotlight and tagged Alex A. King, Pride and All This Prejudice. Bookmark the permalink.